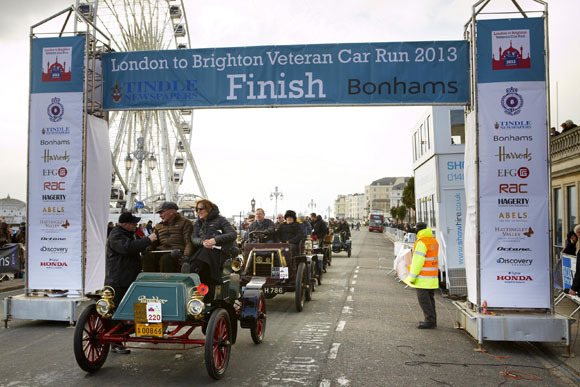 The organisers of the London to Brighton Veteran Car Run have announced that Auction house Bonhams – long-time supporter, sponsor for 11 years and title sponsor since 2014 – has further extended its backing until 2019 of the world’s longest running motoring event. The agreement encompasses a number of significant elements during the lead up to the Run. The company will continue to sponsor the Veteran Car Zone at the free-to-view Regent Street Motor Show, held in London’s famous shopping street on the day before the Run. 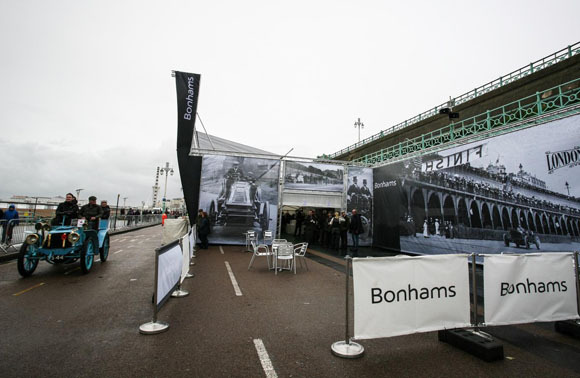 As well as sponsoring the Run, the Bonhams will carry on providing welcome participant’s hospitality at the finish line in Brighton. 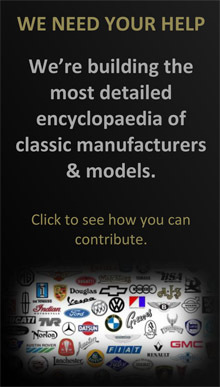 In addition, Bonhams will continue to hold its annual Veteran Car auction on the Friday before the Run. The auction of motorcars eligible for the London to Brighton Run and early automobilia is held at the company’s headquarters in New Bond Street, a short walk away from Hyde Park where the Run traditionally begins at daybreak on the first Sunday in November (this year, that’s 1st November at 06.45). More than 400 cars will be taking part. Of the dozen cars in the Bonhams auction this year, no fewer than six already have provisional entries in to the 2015 Bonhams London to Brighton Veteran Car Run. Should a successful bidder decide to take part in his or her new purchase, Bonhams has even arranged for testing facilities complete with on-site technicians to be made available on the Saturday morning. Among the cars ready to go under the hammer this year is a 1904 MMC Rear-Entrance Tonneau with a guide price of £40,000-£60,000, a 1904 Darracq expected to make between £35,000-£60,000 while, for those with deeper pockets, a 1903 Clement could sell for as much as £500,000. Bonhams Chairman, Robert Brooks, is a lifelong fan of the Veteran Car Run and is a regular participant. This year he will be driving a 1895 Peugeot Vis-à-vis owned by the Dutch Louwman Museum. 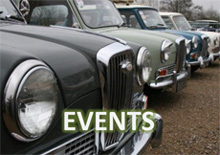 Most of the Bonhams motoring team will also be driving on the event, many in their own cars. 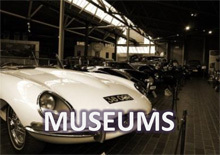 “We are not just auctioneers, but very much active enthusiasts who enjoy – like our clients and customers – the hobby of old motoring,” said Brooks.